Broker of Commercial Investment Properties within the Retail and Office Sector of the market. Who's area of focus is Multiple and Single Tenant Net Lease Opportunities poised in the middle tier private and public marketplace. Broker of Private Capital Retail, Office, and Industrial Investment Properties along the Colorado Front Range. Broker to Developers within the Central Denver urban core facilitating value add urban infill projects. Owner of Residential Real Estate Company employing 4 broker associates, with an area of practice in resort development. Mike Carnes earned his Bachelor’s degree in Finance and Accounting in 1998, and soon found himself as an entrepreneur, while partnering with a friend to open a ski shop together at the base area of Crested Butte, Colorado. In 2000, Mike made the decision to move away from Crested Butte, to the Front Range and opened a second ski shop which was quickly recognized as one of the top ski and service shops in the nation by one of the National as well as multiple local publications. In 2003, Mike Carnes had become close with one of his clients who was a leading horizontal land developer. This individual took Mike under his wing and by the end of the 2003 ski season, Mike sold the ski shop to pursue a full time career in Real Estate Development. Over the years, Mike has developed and consulted on multiple resort and retail projects. While recognizing a need in the brokerage community where most brokers lacked knowledge of a developer’s world Mike naturally fell into the role of helping other developers with the successful development and turnaround of their projects. In 2006 Mike was recruited by a developer to assist in the development of Single Tenant Net Lease Retail Properties, covering the Mountain States and South East Territories. In 2011 he moved to Denver and began to carve out a niche in the local market place by combining his knowledge of development with his experience as a broker. Today Mike utilizes his combined skill set as a broker/developer to provide his Clients with an in-depth understanding of the numbers that drive the decision making process in each deal, in turn setting realistic expectations that lead to successful stabilization and disposition of each asset. Mike is also regularly referred assignments by other colleagues in the industry who have viewed a deal and recognized that it requires the more out of the box thought process that Mike possesses. 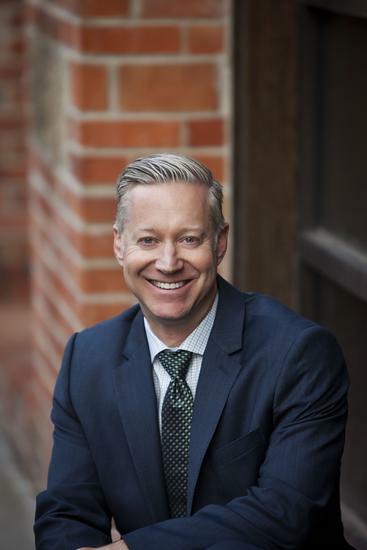 Currently Mike serves as a Senior Advisor with nationally based Sperry Van Ness where he specializes in the acquisition and disposition of private and institutional mixed use and retail development opportunities throughout Colorado as well as Single Tenant Net Lease Opportunities Nationwide.